Genemedics Health Institute’s hormone specialists in California have treated thousand of hormone problems in the whole state. Let us help you with yours too. Beverly Hills Genemedics Health Institute offers access to advanced hormone replacement therapy to Beverly Hills residents. Call us for hormone imbalance treatments. Carlsbad Genemedics Health Institute’s hormone specialists offer affordable yet comprehensive hormone replacement programs to Carlsbad residents. Consult with us. Irvine Genemedics Health Institute provides high-quality natural hormone replacement to men and women with hormone problems in Irvine. Set up a consultation today. La Jolla Genemedics Health Institute’s hormone doctors in La Jolla delivers advanced hormone replacement therapy programs. Call us to be in your best health state. Los Angeles Genemedics Health Institute in Los Angeles is your ultimate health companion to revive your youthful vigor. Get in touch with our hormone specialists now. Newport Beach Genemedics Health Institute helps fight off undesirable symptoms of hormone imbalance in men and women. Contact our Newport Beach hormone specialists now. North Hollywood Genemedics Health Institute North Hollywood caters to all sorts of hormone problems. Get in touch with our hormone doctors to get your youthful vigor back. 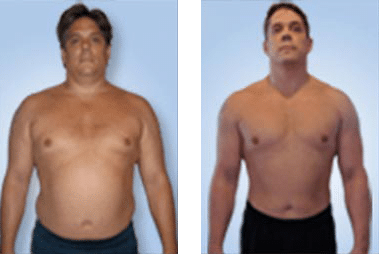 Pacific Palisades Genemedics Health Institute provides holistic hormone replacement programs to residents of Pacific Palisades with hormone problems. Call us for more info. San Diego Genemedics Health Institute offers personalized hormone replacement programs to men and women with hormone deficiencies. Call our San Diego clinic now. Santa Monica Genemedics Health Institute’s hormone specialists in Santa Monica provides all-inclusive hormone replacement programs. Schedule a consultation today. San Francisco Genemedics Health Institute has highly trained hormone specialists in San Francisco. Schedule a natural hormone replacement therapy appointment today. West Hollywood Genemedics Health Institute renders top of the line hormone replacement therapy to West Hollywood residents with hormone problems. Call us for inquiries.